If the successful docking of the first private spacecraft with the ISS was the “space news of the month” in May, there is no doubt that China managed to claim the title “space event of the month” in June. The human crew that launched to dock with the Chinese space station was announced just nine days ahead of the event that was successfully performed on July 16th. However throughout the media coverage there is one thing standing out as another milestone. Yes, you have already heard about it: There is a woman aboard! Exactly 49 years after the first ever female astronaut, Russian Valentina Tereskhova, a 33-year old Chinese pilot named Liu Yang became the first Chinese woman to travel to space. But is it really a reason for such a hype compared with the sheer importance of the fact that China, the dark horse of space exploration, silently managed to prepare such a mission? Don’t we live in the era of gender equality and haven’t many women before proven that they are capable of being astronauts? 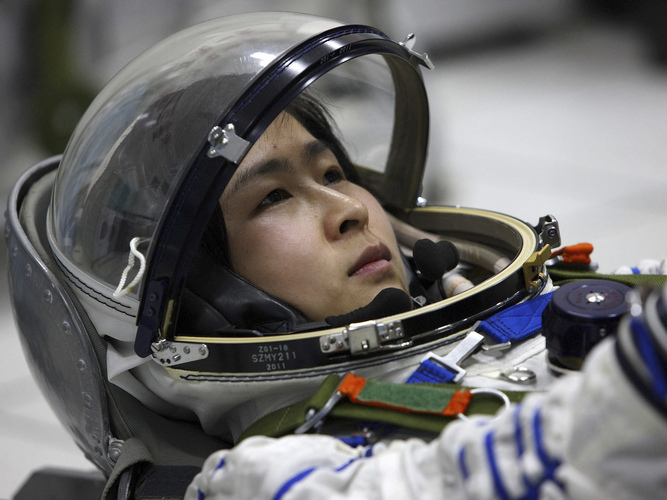 Liu Yang, China’s first female astronaut, at training in Beijing in April, 2012. She is now slated to become the first female taikonaut (Credits: AP). Let’s have a look at some facts. Obviously most of the “firsts” connected to women astronauts are already accomplished. After the breakthrough flight of Tereskhova who spent 3 days orbiting the Earth there was a long gap. Her flight was supposedly marked with problems but the real reason why USSR stopped the female spaceflight program after her flight is unknown. None of the four women who trained with her made it to space. It was only 19 years later that the next female was allowed to go into orbit. The USSR’s Svetlana Savitskaya must have proven to be an extremely valuable candidate as she managed to score two “firsts.” She became the first woman to conduct a spacewalk and the first female participant of two space flights. Speaking to the media recently, the now 63 year old expressed the belief that females are as well equipped to work in space as males. “Working in space depends on a person’s training, psychological and physical status, self-command, personal aims, and so on. If a person is a professional, the gender makes no difference,” she said. 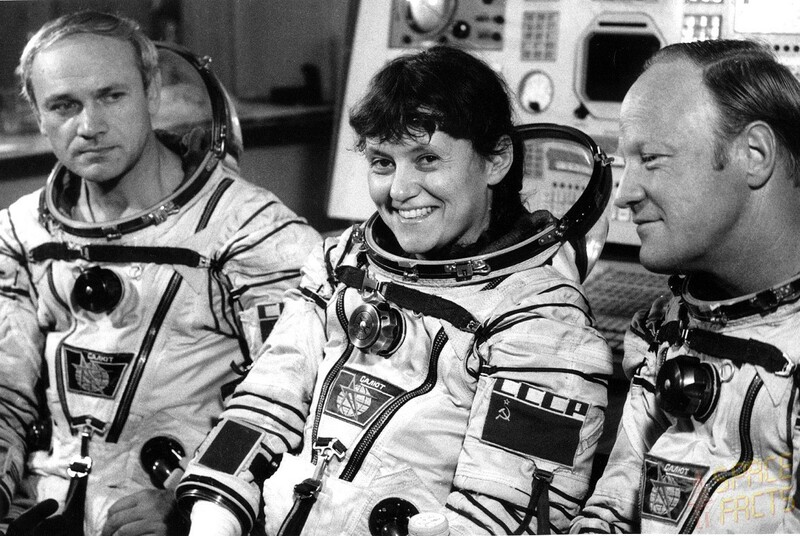 Why did it take almost 20 years for the Soviets to send the second woman to space? In 1984 during her second flight, Svetlana Savitskaya became the first woman to perform a space walk. Nevertheless, the female cosmonaut aspirants in the USSR never had the door particularly open. Out of 18 women who were trained, only 3 actually flew. A controversial remark by Anatoly Perimenov, former Roscosmos chief, after the ballistic re-entry of Soyuz 11 with two female astronauts aboard in 2008 might have given a hint: “You know in Russia, there are certain bad omens about this sort of things. Of course in the future, we will work somehow to ensure that the number of women will not surpass the number of men. When a majority of the crew is female, sometimes certain kinds of unsanctioned behavior or something else occurs,” he said. And what about the USA? After Sally Ride who in 1984 became the first American woman to fly in space, Judith Resnik scored a sad “first.” She became the first female victim of human spaceflight when she died aboard the Space Shuttle Challenger in 1986. And the list goes on: Kathryn D. Sullivan – the first American woman to walk in space, Helen Sherman – the first Briton in space, Roberta Bondar – the first Canadian woman, Mae Jemison – the first Afro-American woman, Elen Ochoa – the first Hispanic woman, there was also the first Japanese, French and Korean. So why all this fuss about Liu Yang? In fact, while Russians, although pioneering female spaceflight, are historically reluctant to send women to space and while Americans took more then 20 years to include women, Liu Yang managed to get her seat in the very early stages of Chinese manned (what a politically incorrect expression) spaceflight. Whereas on the list of female astronauts she is 56th, among Chinese citizens in space she is ranked an impressive seventh. So aren’t the Chinese in the end the most open nation to the female spaceflight participants? The dark sheep among female astronauts. 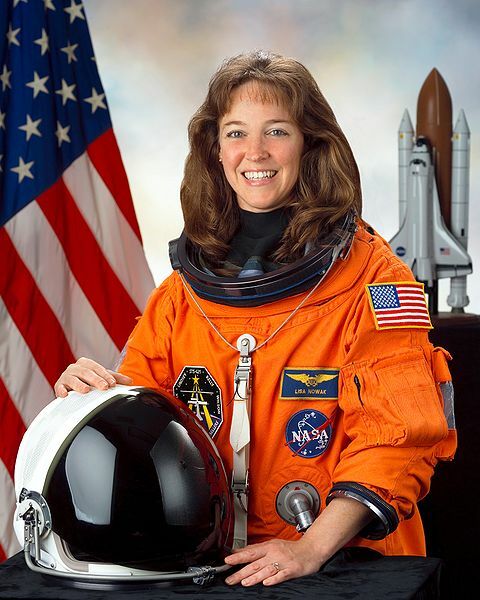 Lisa Nowak was charged with attempted murder of a love rival just months after her spaceflight in 2006. Her case raised many questions about the selection criteria for US astronauts (Credits: NASA). The selection criteria regarding the Chinese female astronaut has been highlighted as perhaps controversial. But aren’t the selection criteria for astronauts always demanding? Maybe every culture just accents different values and the requirement of her being happily married doesn’t sound so bizarre compared to the affair of NASA astronaut Lisa Nowak. That mission specialist, who flew on Space Shuttle Mission 121 in 2006, was charged with attempted kidnapping and murder of a love rival less then one year after her spaceflight. She was (brace yourself) even considering claiming insanity at the trial. Liu Yang is in the first place a trained and experienced pilot. In fact it is really thoughtful of the Chinese engineers to develop some special modifications to make her more comfortable. Maybe the Chinese will manage to take the right approach to the controversial female spaceflight. However, we can hardly say that the importance of a Chinese woman being aboard the spacecraft matches the importance of China successfully performing a manned docking with their own space station. The opinions expressed are those of the author and do not necessarily reflect the views of Space Safety Magazine, IAASS, or ISSF.